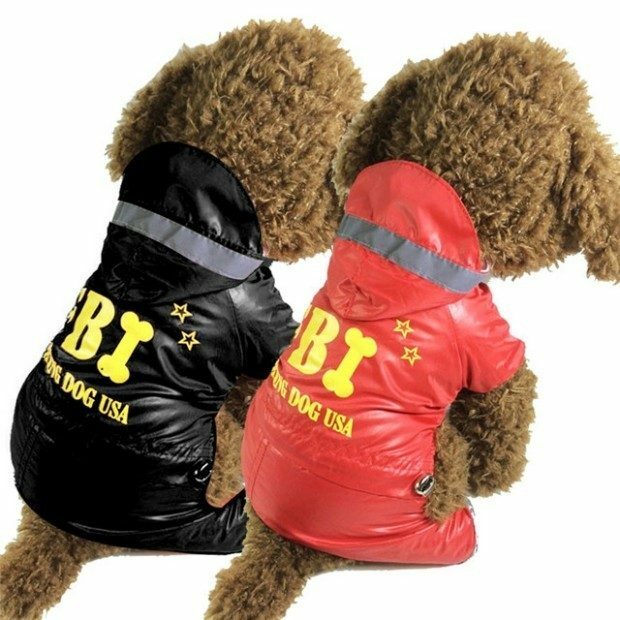 Dog Jumpsuit with FBI logo Only $9.05! Ships FREE! You are here: Home / Great Deals / Christmas Deals / Dog Jumpsuit with FBI Logo Only $9.05! Ships FREE! Order the Dog Jumpsuit with FBI logo for Only $9.05! Shipping is FREE! Perfect for keeping your dogs dry during the winter weather! Available in 2 colors and in small to XL. Get your dog the respect she deserves with this FBI logo jacket!